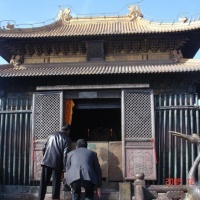 The Golden Temple (Jindian) is commonly known as the Bronze Tile Temple (Tongwa Temple) in China. It is perched on top of Mingfeng Hill, seven km north-east of Kunming. The original model was carted off to Dali; the present one, with bronze pillars, ornate doorframes, fittings and roofs, laid on a white marble foundation, dates from the Ming dynasty. It was enlarged by General Wu Sangui, who was dispatched by the Manchus in 1659 to quell the uprisings in the region. Wu Sangui bit the hand that fed him - turned against the Manchus and set himself up as a rebel war lord, with the Golden Temple as his summer residence. 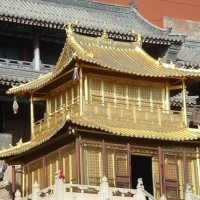 The Golden Temple is the largest copper temple in China. It was undisturbed for almost two hundred years until the Muslim rebellion of 1857, during which the Golden Temple suffered some damages. The Qing Emperor Guangxu ordered its complete repair and in 1890, using 250 tons of solid bronze, the entire temple was again rebuilt. 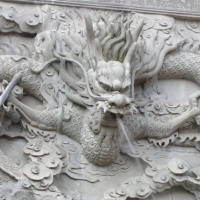 Except for the staircases, floor, and balustrades, which are made of marble, the walls, columns, rafters, roof tiles, windows, altars, Buddha statues, curling dragons, wall decorations and the tablet near the gate tower are all made of copper. The burnished copper gleamed like gold and that is why people named it the Golden Temple. 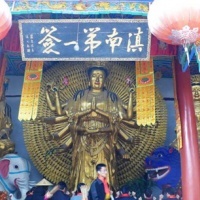 Since its last renovation, this beloved copper temple on the top of Mingfeng Hill has been well cared and has become the most famous Taoist shrine in Yunnan Province. The temple is 6.7 meters high, both the width and length measurements are 7.8 meters, in the courtyard are ancient camellia trees. At the back is the 29-meter-high Bell Tower, where a 14-ton bronze bell hung on the third floor, cast in 1423. The temple is open 7am to 7pm; to get there you can take bus No 10 or No71, or by cable car from the World Horticultural Exposition Garden. China Fact Tours also entertains customized tour packages. Please feel free to contact us.